A bill co-sponsored by U.S. Senators Joseph Lieberman and Scott Brown calls for suspected terrorists to be stripped of their U.S. citizenship. Lieberman said the Terrorist Expatriation Act, which was unveiled Thursday, is a response to the arrest of Faisal Shahzad, who is accused in last weekend's car bombing attempt in New York's Times Square. A native of Pakistan, Shahzad became a U.S. citizen last year. The bill would allow the State Department to revoke the citizenship of a U.S. citizen who provides support to a terrorist organization, or who takes part in or aids in hostilities against the United States or its allies. Lieberman said his proposed bill is really only a slight change to a very old law. In 1940, the U.S. State Department was given the authority to revoke the citizenship of any American who joined the German or Japanese armies. Lieberman's proposal would add being involved with a foreign terrorist organization. Lieberman pointed out that U.S. President Barack Obama has already gone much further, having recently authorized the CIA to kill Anwar al-Aulaqi, an American Muslim cleric alleged to be tied to several terrorist attacks. 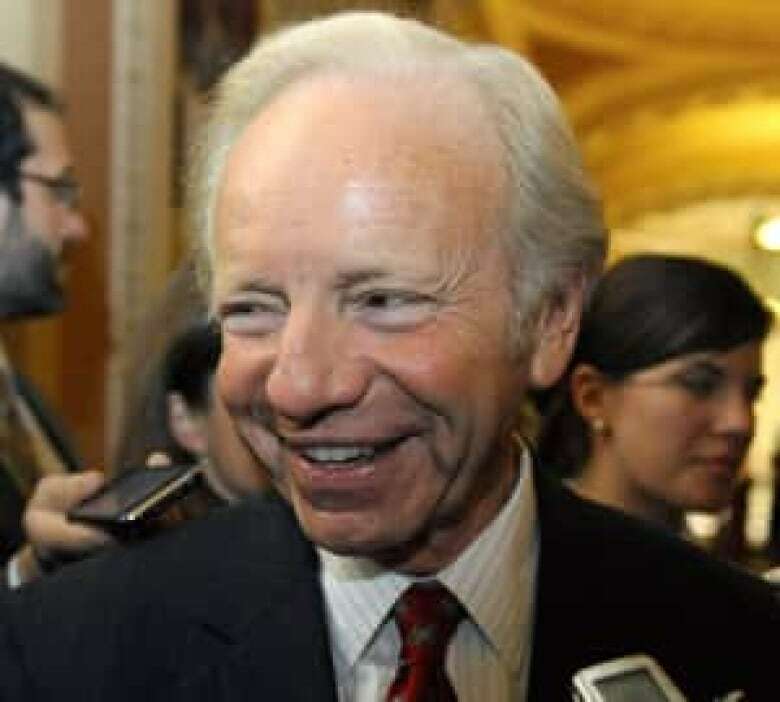 "So if the president can authorize the killing of a United States citizen ... we can also have a law that allows the U.S. government to revoke Aulaqi's citizenship and that of other American terrorists who've cast their lot," Lieberman said. Nancy Pelosi, the Democratic speaker of the House of the Representatives, said the bill sounded like a good idea, but she raised a concern. "I like the spirit of it, but I'd like to know what the trigger — what the trigger of it is," she said. Pelosi pointed out that the original 1940 legislation was written when the United States was interning thousands of people of Japanese descent. A lawyer for a civil liberties group slammed the proposal. "Well, I don't know what the spirit is she's supporting," responded Chris Anders, a senior legislative counsel with the American Civil Liberties Union. He said the trigger could simply be writing a cheque to a group on the State Department's list of terrorist organizations. "It's not going to stop any attacks. It's not gonna help the United States capture any terrorists or terrorism suspects. This is nothing more than political grandstanding," Anders said. The bill does not appear to have much support in the Obama White House. "I have not heard anybody inside the administration that's been supportive of that idea," White House press secretary Robert Gibbs said, according to ABC News. Gibbs added that he had "not heard large enumerations on why, except that I don't think anybody would find that to be such an effective way."